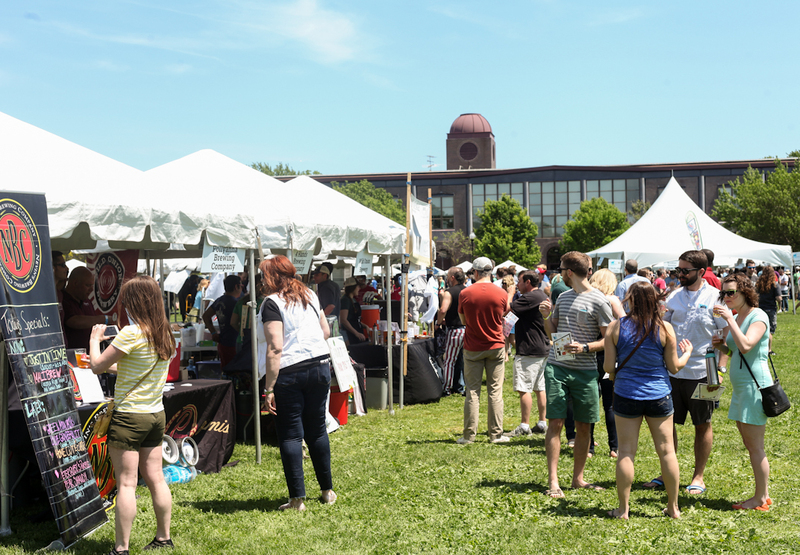 It was a perfect day weather-wise for the Welles Park Craft Beer Festival, the closing event for Chicago Craft Beer Week. 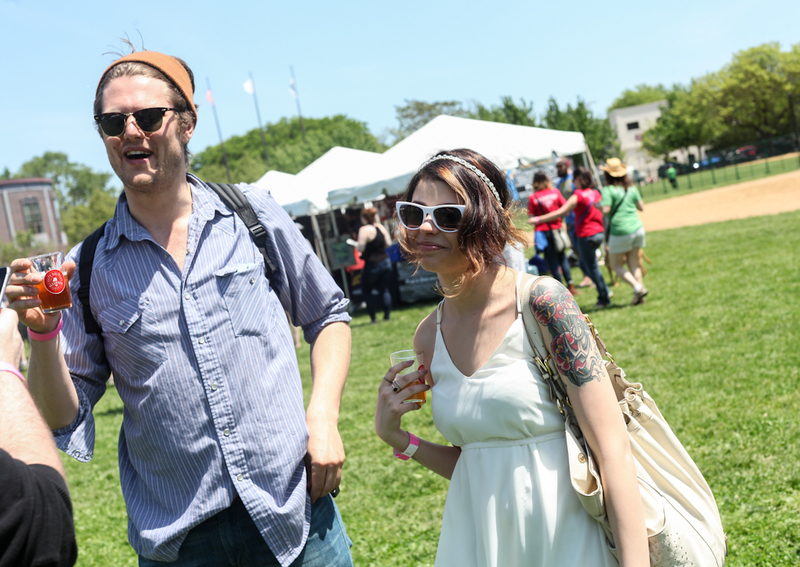 The festival moved out of the West Loop this year, and the move paid off—the park was much more spacious, and the lines were never very long. 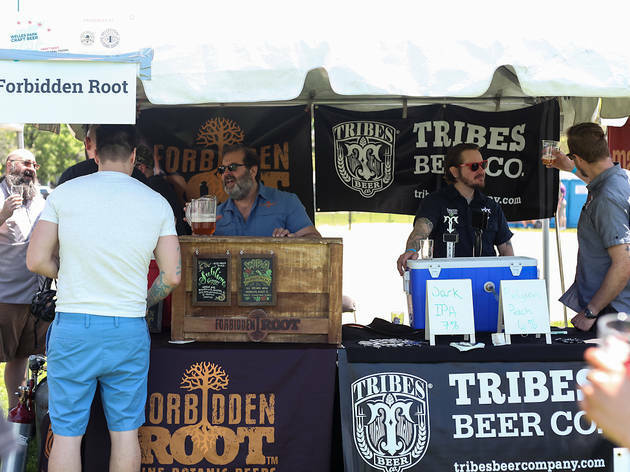 For beers, Scratch Brewing made another scene-stealing appearance after their showing at Beer Under Glass, with beers like a basil ale; Forbidden Root brought out their new Wildflower Pale Ale; and DryHop Brewers drew the longest line of the day for their 3pm tapping of Cool Running, a kiwi and lemon balm Berliner weisse they made with Pipeworks. 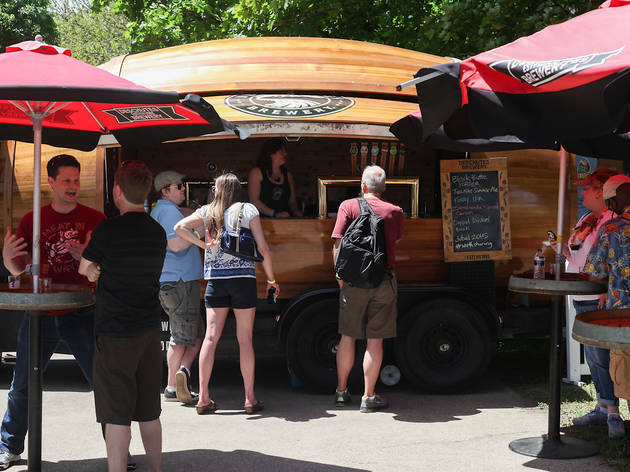 For food, Taco in a Bag proved to be the ideal drunk festival food, while Big Fork brought their tasty bacon sausage and Mash served up pulled chicken and bacon sandwiches. 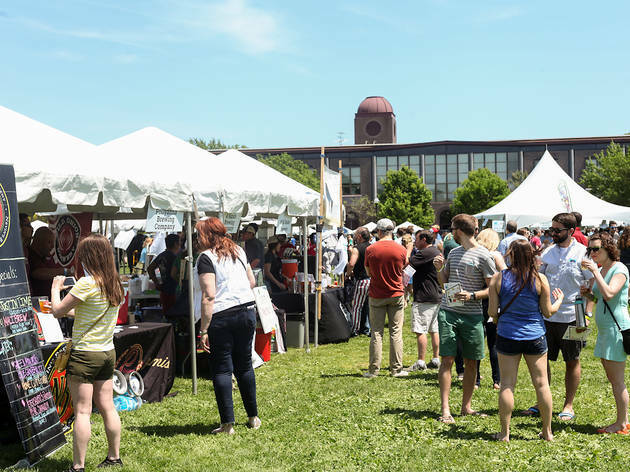 Here's a peek of the festival. 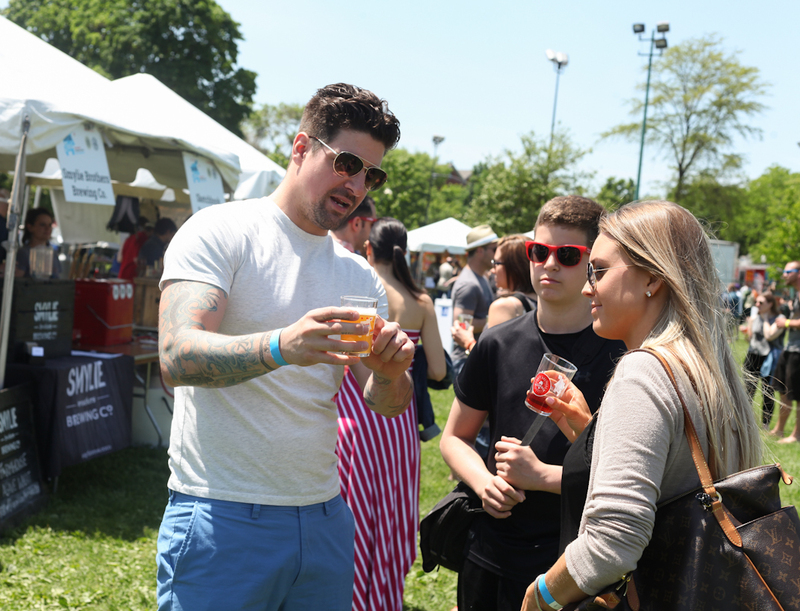 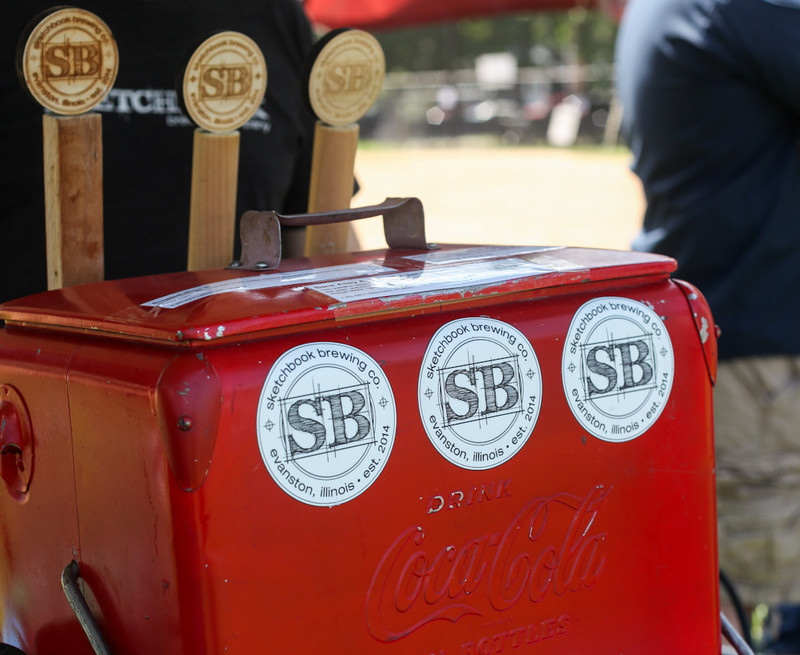 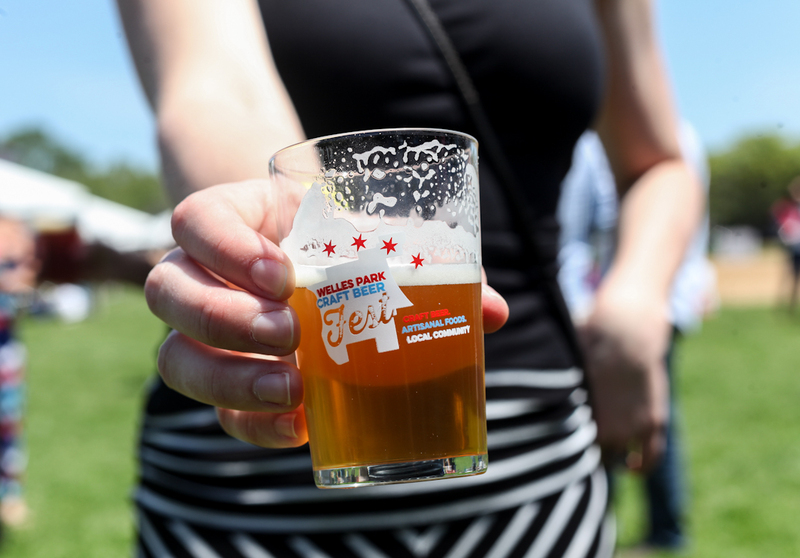 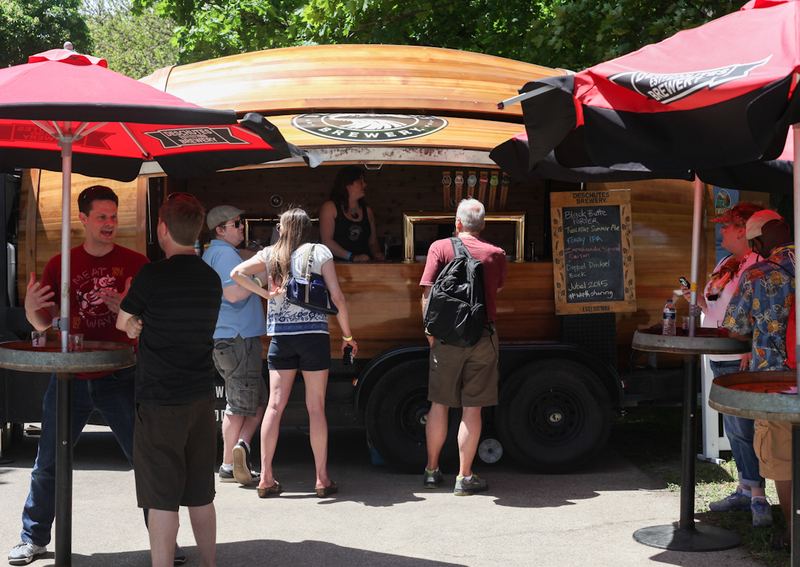 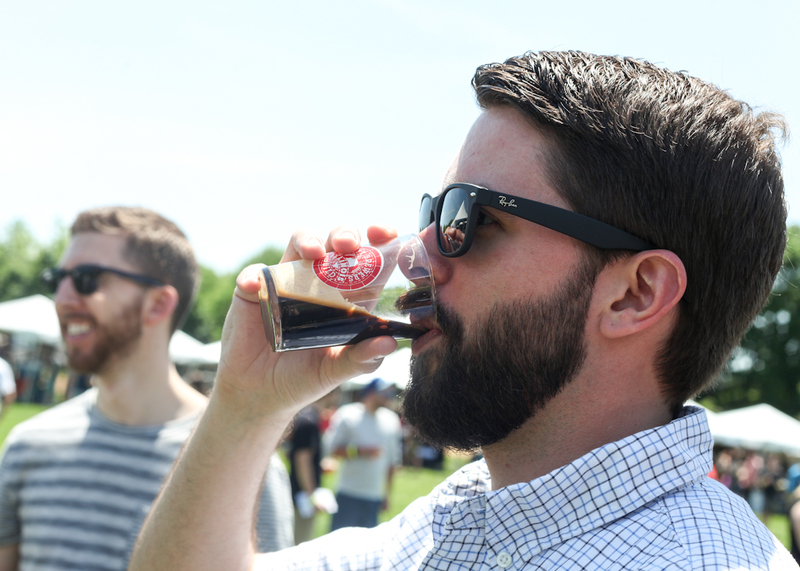 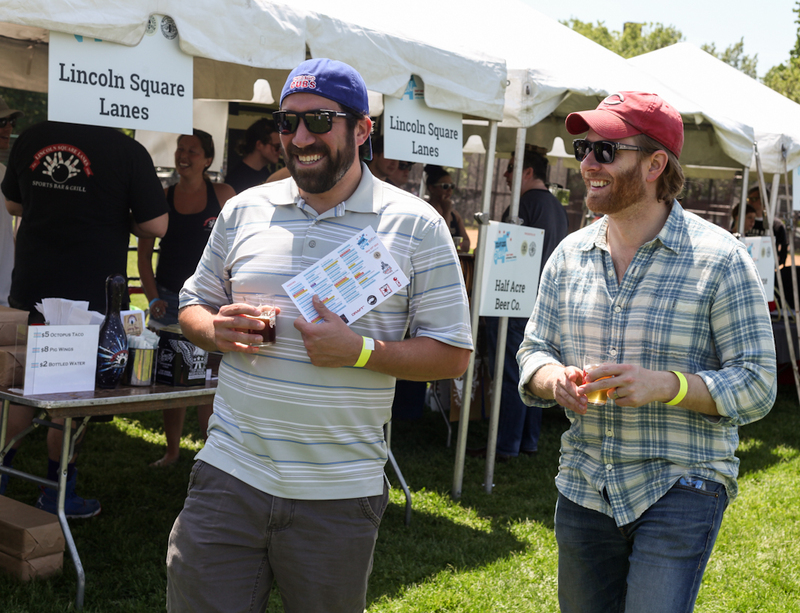 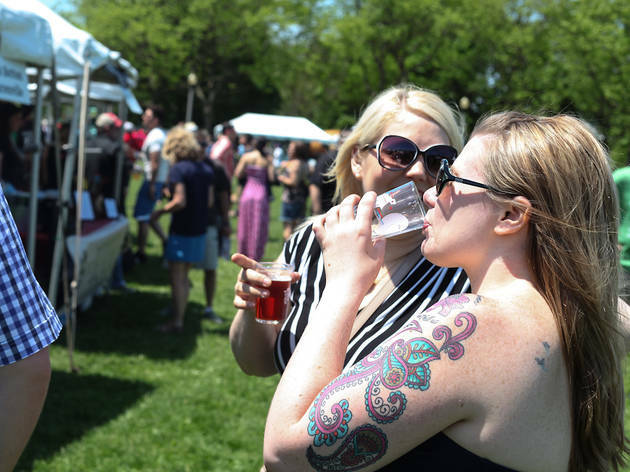 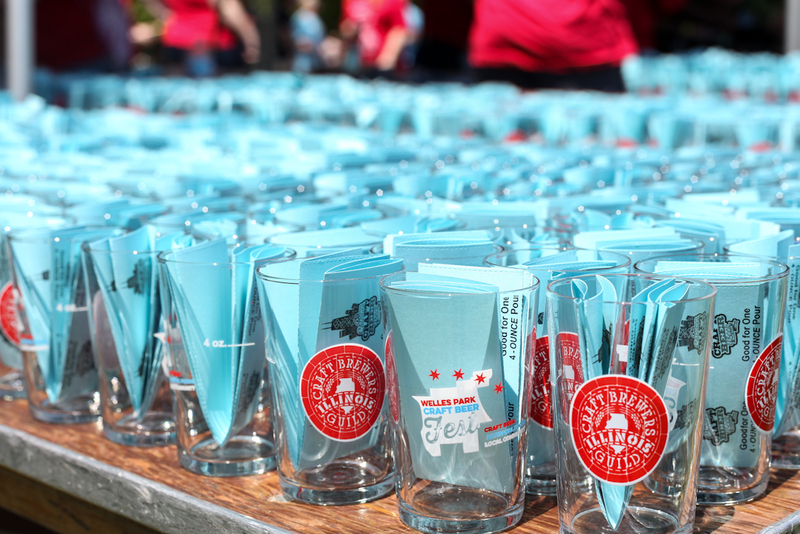 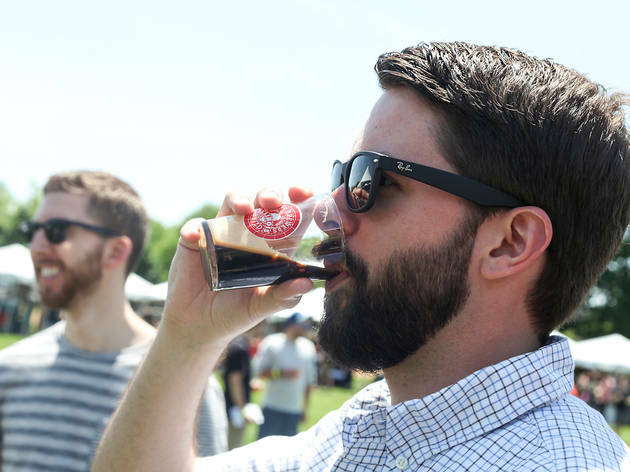 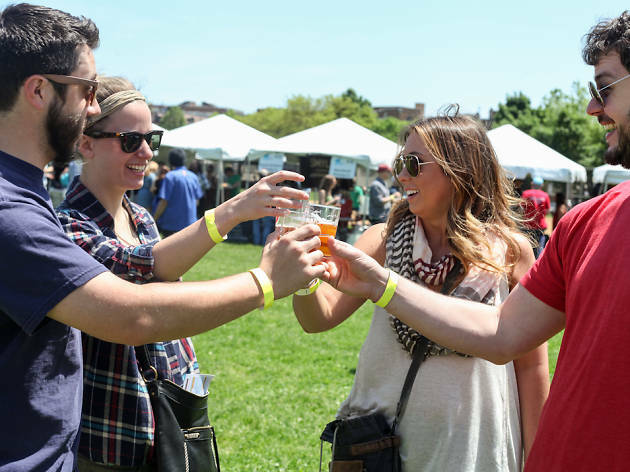 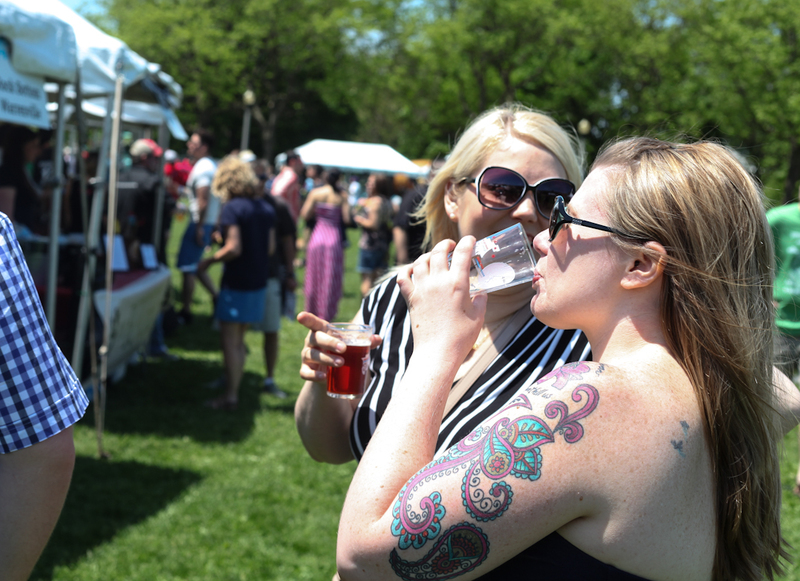 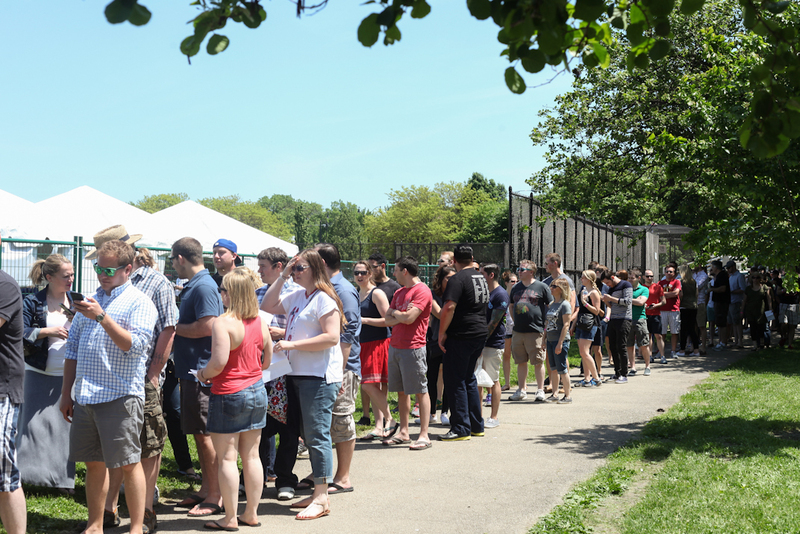 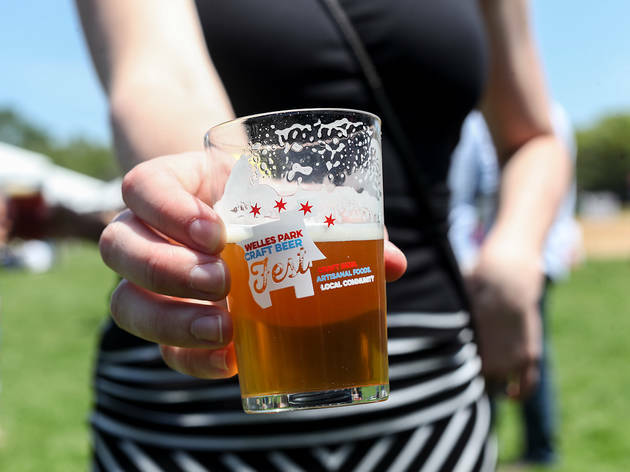 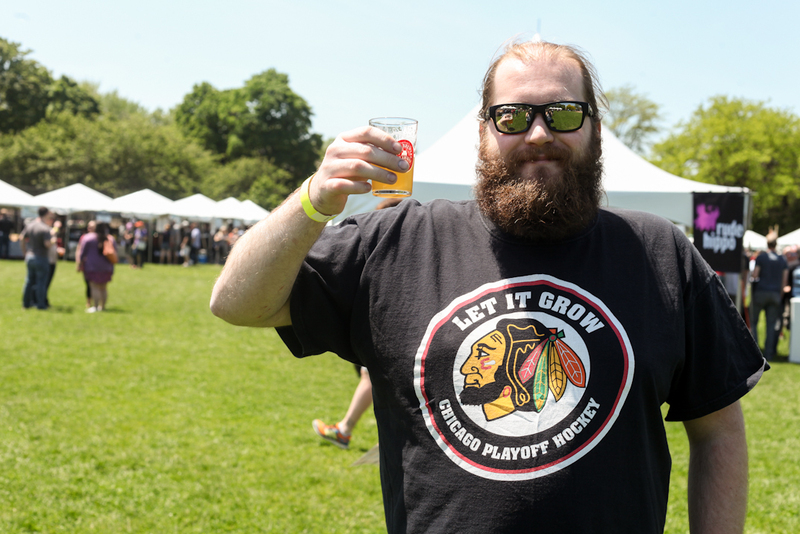 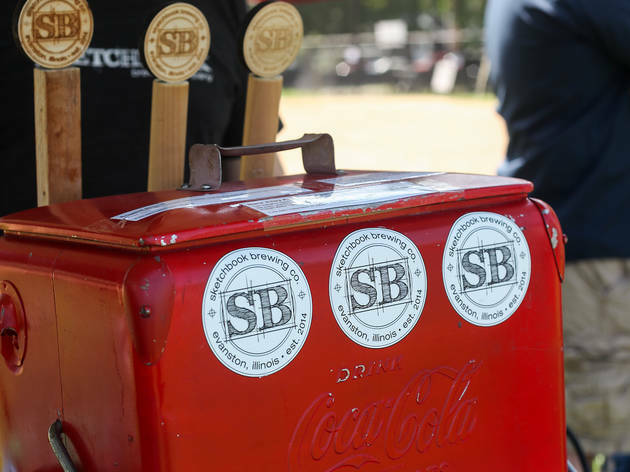 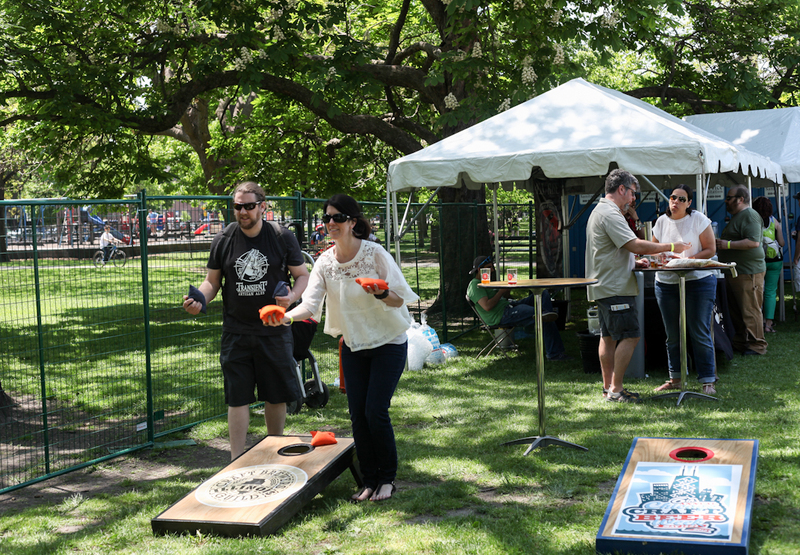 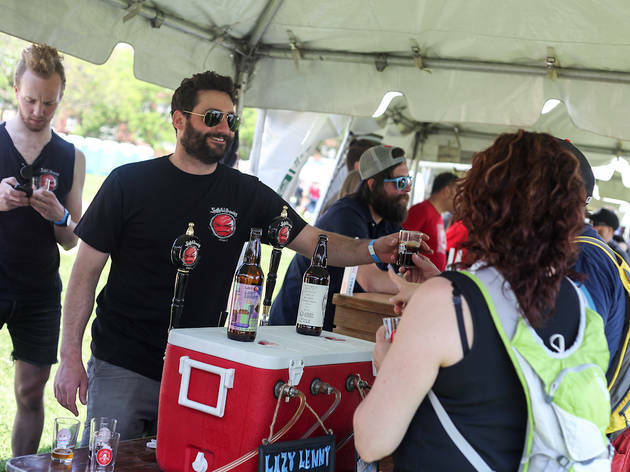 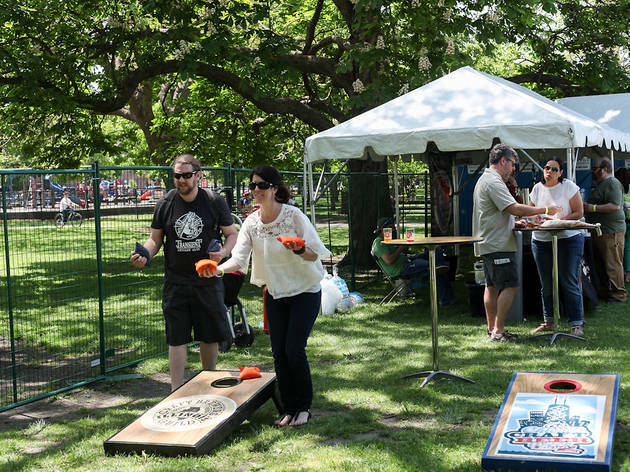 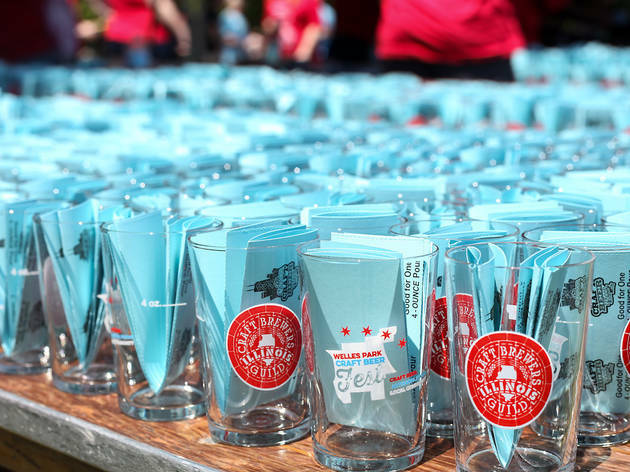 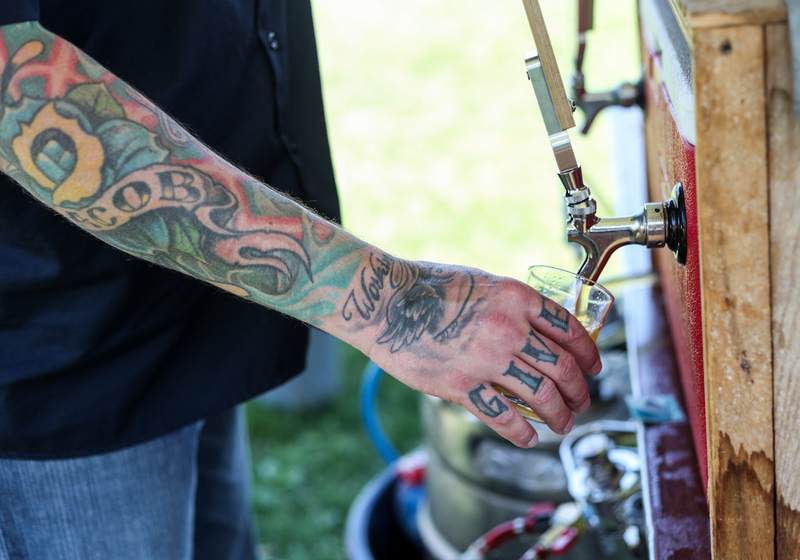 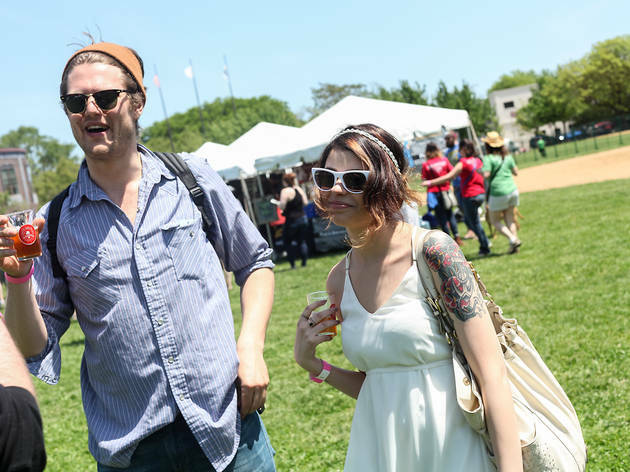 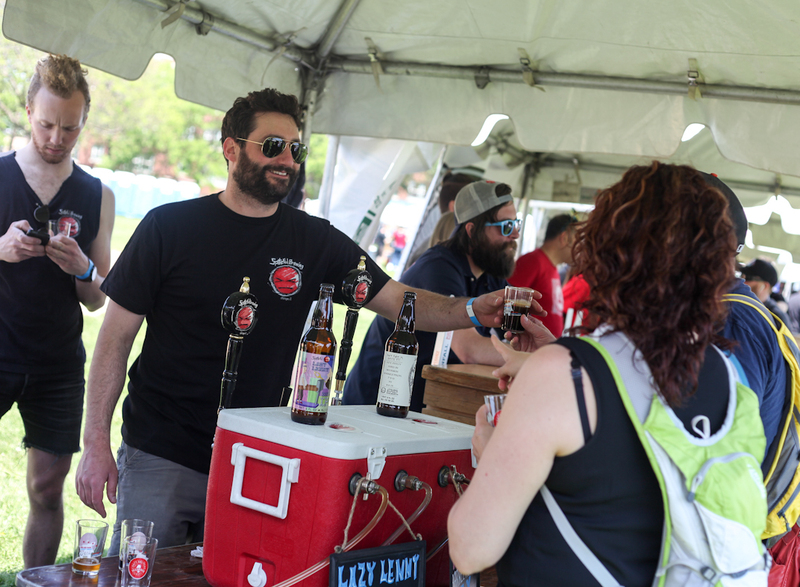 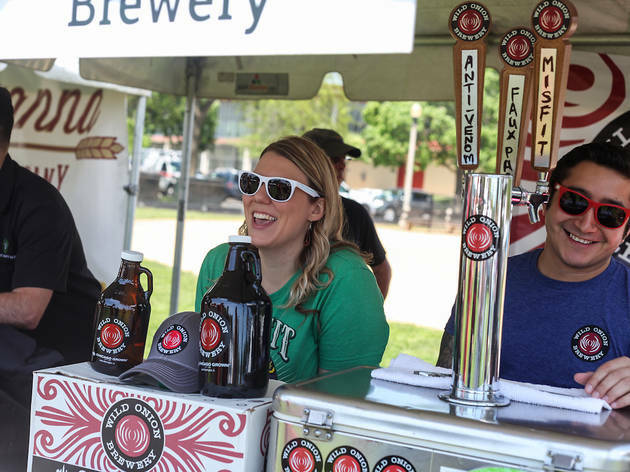 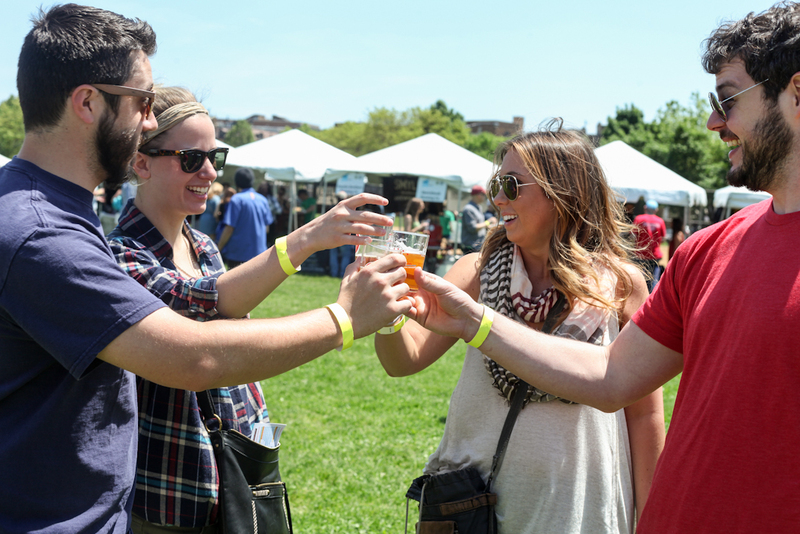 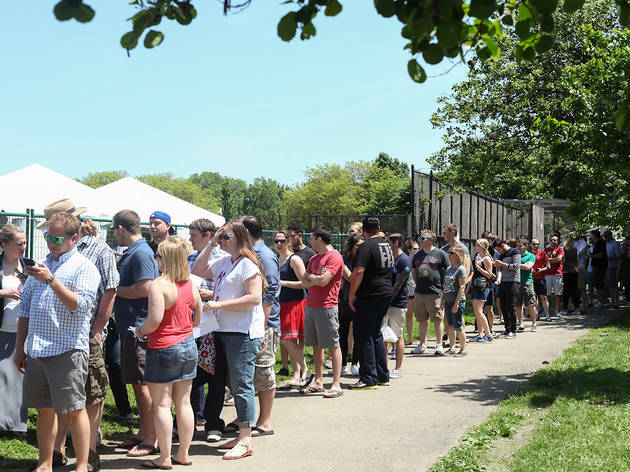 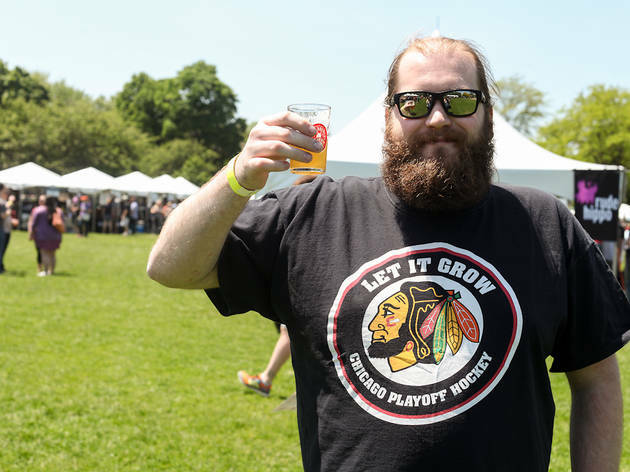 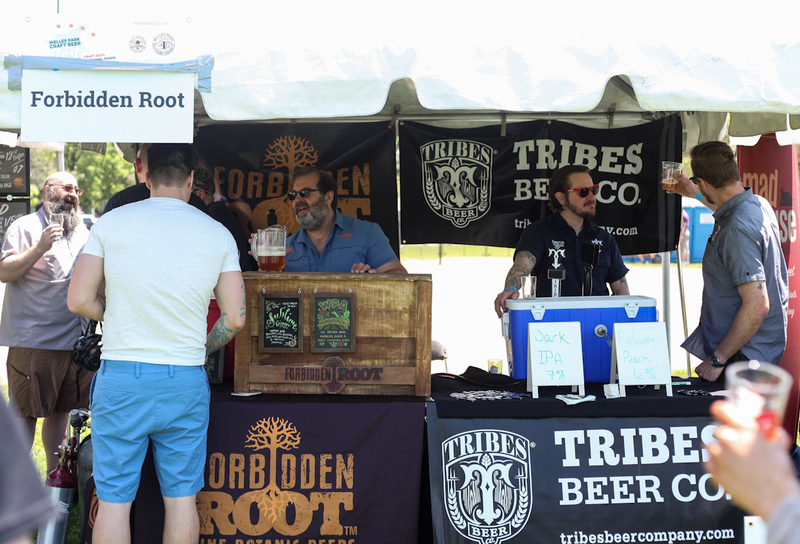 Chicago Craft Beer Week moved their closing festival to Welles Park this year.